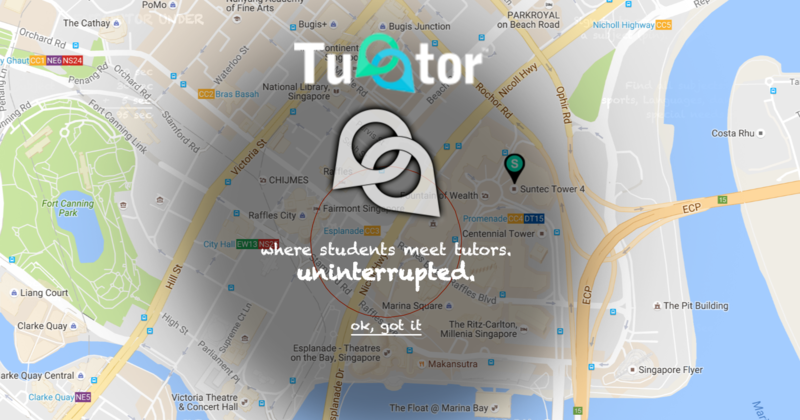 Ever Heard Of A Tuition Aggregator For Poly And Uni Students? Here's One For You. Speak to any Singaporean adult right now about their primary and secondary school days, and chances are, the mention of tuition classes for almost all school subjects will definitely surface. Tuition classes these days not only cover traditional subjects like English, Mathematics, Sciences and Mother Tongue – now, there’s even supplementary classes for third languages, sports, and miscellaneous skills. Therefore, it is no surprise that with the recent boom in startups, there are those that choose to specialise in tuition, or more specifically, connect students to tutors. We’ve seen before the likes of ManyTutors.com that has become the go-to site for tuition of subjects from primary school to junior college levels. 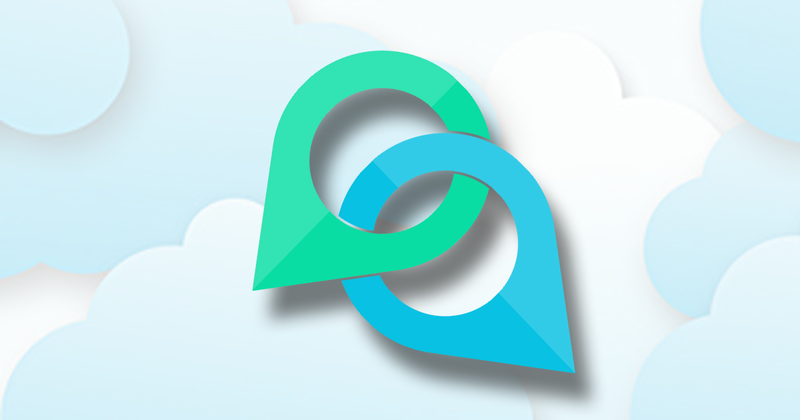 Now, another serious competitor to the private tuition marketplace has arrived. Fresh off a $2 million investment by iGroup (Asia Pacific) Limited just last month, Tueetor seeks to launch the world’s first fully automated learner-trainer matching platform. With a sole focus on the tutoring market, they want to address the two prime concerns that parents face when searching for tuition for their children – affordability and accessibility with no middleman, no waiting time, and no referral fees. Executive Director, Tan Han Sing, said in a statement that he considers tuition to no longer be a ‘luxury’, and that it is a necessity to help students stay ‘in line’, especially considering the competitive nature of Asian societies. The first thing that greets you when going to tueetor.com is a splash screen that guides you on how to navigate the site, with a little note on the left telling you how fast it is for you to create an account and start using the site. 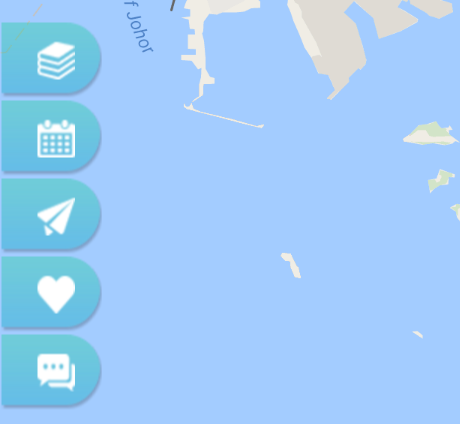 After that, you will see a map with your current location. From here, you can proceed to Sign Up for an account. Read the words in turquoise yet? 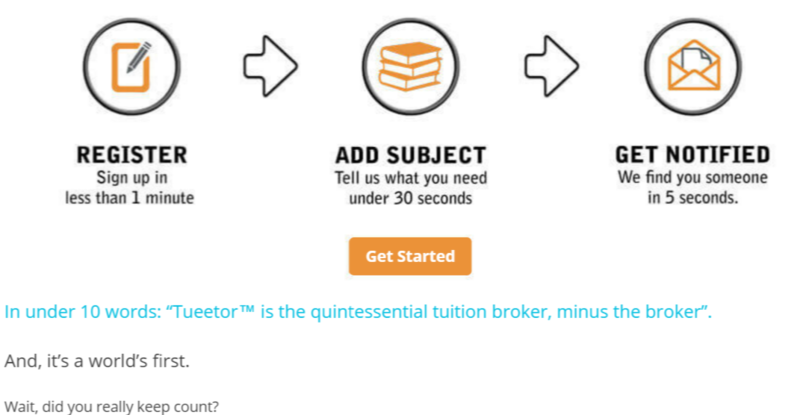 Yes, that’s how fast it will take for you to get matched to a tutor on Tueetor from the time you create an account. Well, since I am not one who is looking for a tutor, let’s take a look at what features there are instead. Zoom out and you will see how the site basically works. Students are denoted as green pins, and tutors as blue ones. As for your matches, a perfect match of subject and level will be in red, while a match of subject-type is in purple. It is above the Legends tab that things get a lot more interesting. Under the red tab labeled Find Now, you will be blown away by the sheer amount choices of subjects available at your fingertips. From the usual subjects studied at primary, secondary and JC levels, there are also more specialised topics that are usually covered in Polytechnics and Universities. These include arts and design subjects, engineering and IT, mass communications and business, and also more unconventional options like languages, sports and culinary classes. The blue tabs on the left is where you manage your account and appointments. Here you can edit your subjects, schedule, and shortlists, reply to messages, and finally, give review and feedback for your tutors. If you need a recap, here’s a video showing you how quickly you can set yourself up. 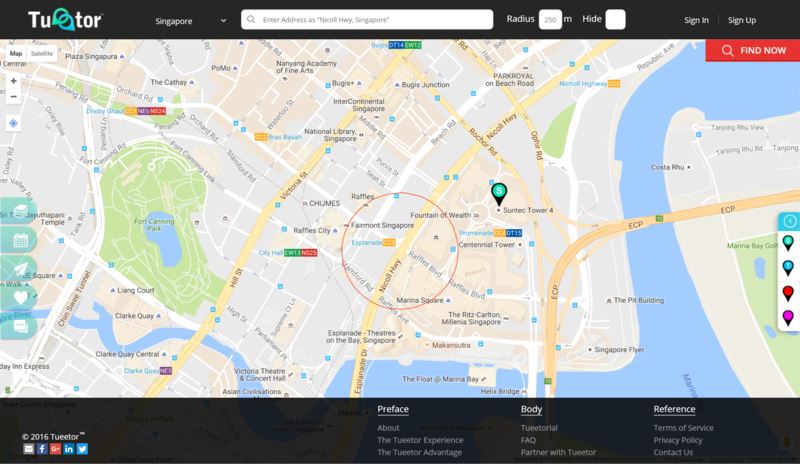 In the next two years, Tueetor has set its sights on expansion all over Asia Pacific. Countries which have been specifically mentioned include Thailand, Malaysia, Hong Kong, Taiwan, China, Japan and South Korea – the world’s largest private education market by value. For the near future though, an app for both iOS and Android is currently in the pipeline, and they are expecting to release it in the next few months.